As a long-time performer, educator, and advocate of young children, Jory believes in the magic that can be created with music. Add into the mix: children from the audience, puppets, instruments, skits…, and voila! A participatory show that comes alive! Jory can create a theme based on almost any subject, or provide a concert based on the developmental needs of her audience. The list below gives a sense of the array of concerts she offers. New! The Dog Days of Summer! Summer Preschool Show for children 2 through 6 years old. From delightful short skits, dog puppets galore, to dog (and cat) songs, we actively celebrate our furry pals! 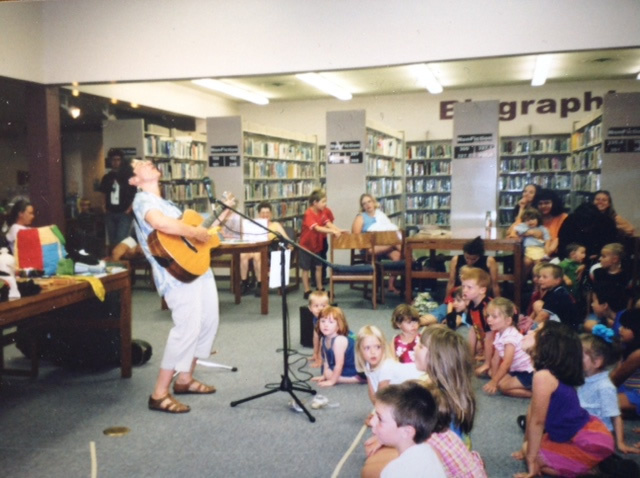 Jory’s shows feature your children as her performers, actors, and musicians. Wanted; all lovers of dogs & cats! Jory brings songs, puppets, stories and skits to life (with lots of help from her audience)! Make a ‘Holiday Cake’ (with magical ingredients from all winter holidays), see the Holiday Circus perform, discover what Meagan’s Uncle sent her from very far away, partake in the Jingle Bell Orchestra, and more. Share what you love about the Holidays (and Winter) in this active, participatory program for families with Jory Aronson. Come and celebrate the special bond between a person and their bear! Bring your bear along for a rollicking visit with Jory and her bear. The bears will play, sing, dance, act-out stories, and have a snuggly, delightful time! For children 2 through 6 years old. (Can be an evening concert with children in their pajamas). THE AMAZING ANIMAL VAUDEVILLE SHOW! Pet Show! Jory Aronson helps the animals take over as the audience becomes puppeteers, actors, dancers, and musicians in this whacky Variety Show. Come celebrate our bond with the (talented) animal world! Participatory Children’s Concert for 2-through-6 years olds. An active concert for young children that includes songs and typical baby behavior that little ones love to mimic. Bring a favorite ‘baby’ doll or ‘baby’ stuffed animal to Jory’s Babytown! (Can be an evening concert with children coming in their pajamas). From rain tapping on the roof, to the howl of the wind; Winter Rhythms are all around us. Explore the season of Winter through songs, stories, puppets…. and help Jory act out a Winter Tale or two. We’ll warm-up our imaginations together. For children 3 through 8 years old. Jory’s musical celebration of the animals we all love. Bring a favorite stuffed animal for action-packed fun. ‘Animals’ will dance, sing, and act-out stories with Jory. For children 2-through-8 years old. Spring is a time for growing plants, trees, animals, and children! Energy is in the air as the earth wakes up from Winter’s long nap. 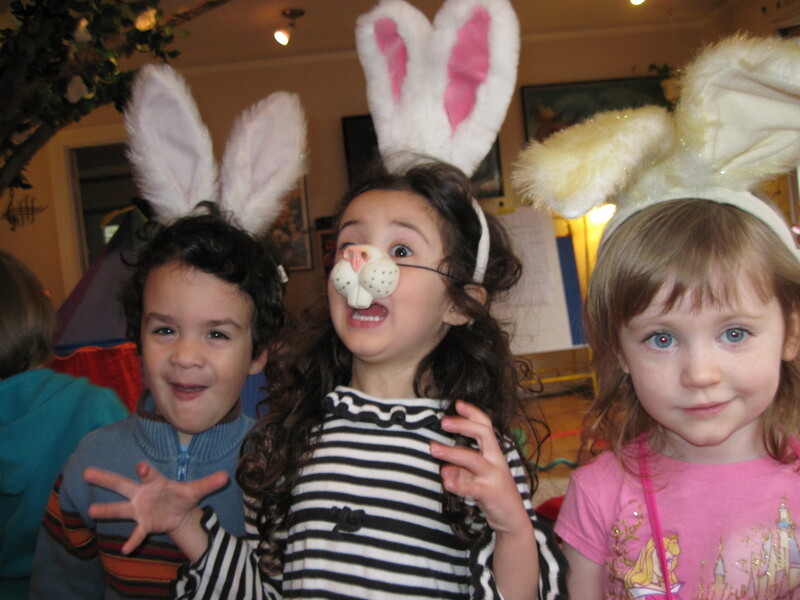 Join Jory as she celebrates the new growth through songs, skits, puppets, and more! From ‘The Grow Song’ to ‘The Barn Dance’, children will be actively involved in the show as musicians, puppeteers, actors, and singers. For children 3 to 8 years old. Concerts are affordable and available year-round.